A new Chair for the Clinical Council for Eye Health Commissioning has been announced. 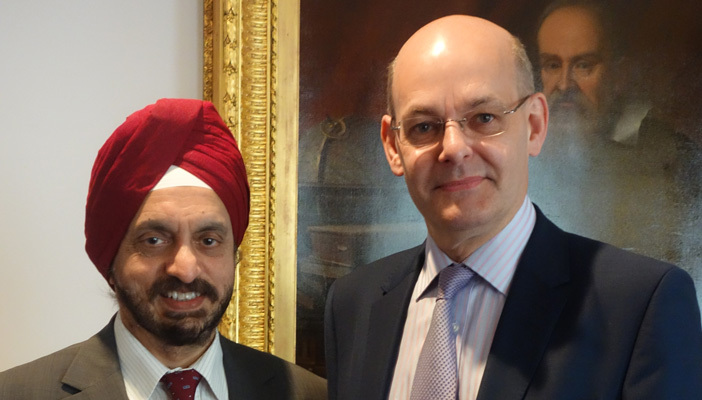 David Parkins, President of the College of Optometrists, will succeed Professor Harminder Dua, past president of the Royal College of Ophthalmologists. The Clinical Council brings together professional and patient organisations from across the sector and is the national clinical voice for eye health in England. It was created two years ago by Dua and has been working in partnership with NHS England to support the development of services to meet local population needs and improve outcomes for patients. Parkins said he was proud to be chairing a body with such a vast collective expertise of commissioning eye health and sight loss services, including social care and ophthalmic public health.